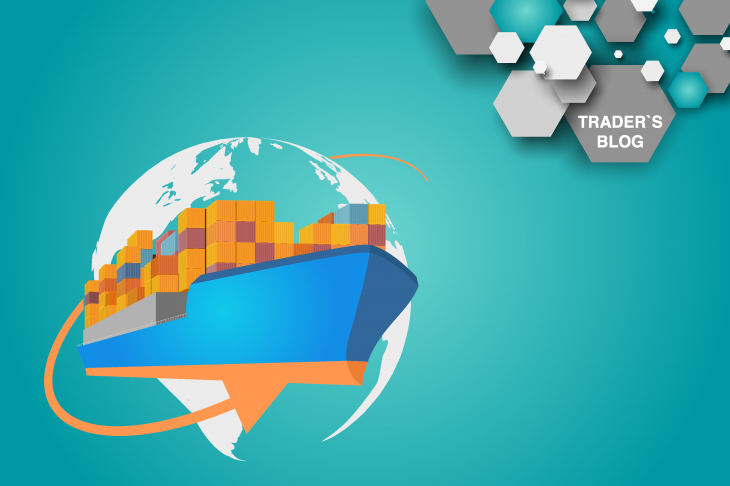 The trade balance is an indicator of the economy, indicating the cost of imported products (imports) and exported products (exports). The trade balance, depending on the prevailing share of imports or exports, can be positive (surplus) or negative (deficit). There is such a thing as the net trade balance – this is exports minus imports, which is the largest part of the country’s payments. The trade balance and net trade balance are very significant indicators of any economy, which significantly affect the exchange rate of the national currency. There is no direct dependence of the national currency on the trade balance, nor is the dependence of the country’s economic growth on the growth of the trade balance. The growth in demand for the goods of a particular country automatically increases the demand for the national currency. Since the purchase and settlement of the manufactured goods are often made by the national currency. Thus, the trade balance can be an indicator of the demand for a particular currency. On the other hand, the trade balance is not the entire economy of the country, but only trade. And often countries with the world economy have a negative trade balance, and this does not mean that the economy of this country is slowing down, but indicates that it spends more than sells, having other items of budget replenishment. Developed countries with a budget deficit include: the United States, Britain, Japan and Canada. Over time, this indicator can vary significantly. The value of the trade balance appears to be in dramatic changes, indicating a decrease or increase in a particular currency. At the same time, the trade balance depends on many factors: duty rates, economic growth rates, employment, inflation and many others. The main bright example of the growth of the national currency with an increase in the trade balance deficit is the United States. Since 2018, the trade balance has significantly reduced the deficit, which was caused by the policy of the Trump administration aimed at this, mainly due to the introduction of duties and the revision of trade agreements. The dollar index also received support in this period, but not only from a reduction in the trade balance deficit, but from tightening of monetary policy. China’s trade balance is mostly positive and its decline may indicate a slowdown in the world economy due to the enormous importance of the export of this country. But even he is very unstable and can fluctuate significantly. At the same time, the decline in China’s trade balance since 2017 has not actually affected the decline in the yuan, which can not be said about the dramatic changes in this indicator. Thus, a sharp reduction in China’s trade balance caused the growth of the pair USD / CNY, on average by 2-3 months. Least affected by changes in the euro’s trade balance. Due to its structure and huge domestic market. At the same time, the dynamics of the euro depends to a significant extent on the dynamics of other economies, as the situation with the Turkish lira showed. The change in the country’s trade balance is a significant indicator and can have an impact on the national currency with significant changes. But this indicator is very individual and should be analyzed together with other economic indicators.